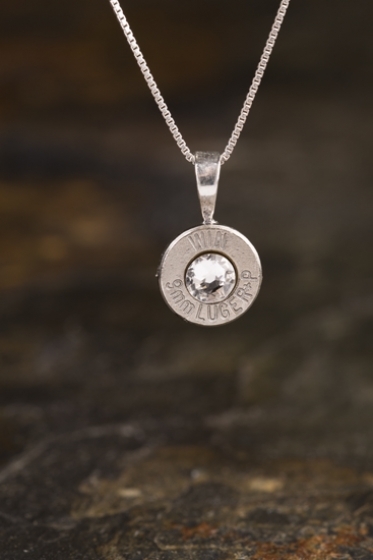 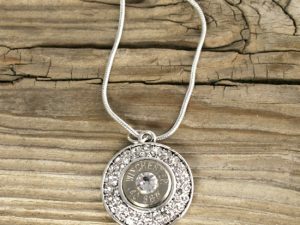 This 9mm Sterling Silver Bullet Necklace makes a statement with the authentic Swarovski Crystal and sterling silver chain! 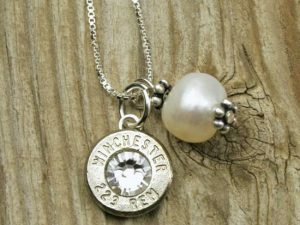 Available in Brass(gold) and Nickel(silver). 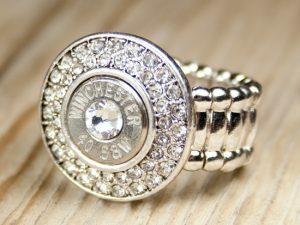 SKU: 9-STD-NCKLC-002. 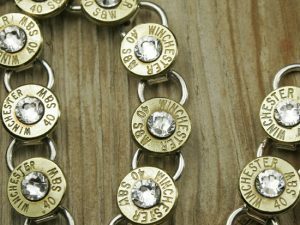 Tags: Bullet Jewelry, Bullet Necklace, Necklace.